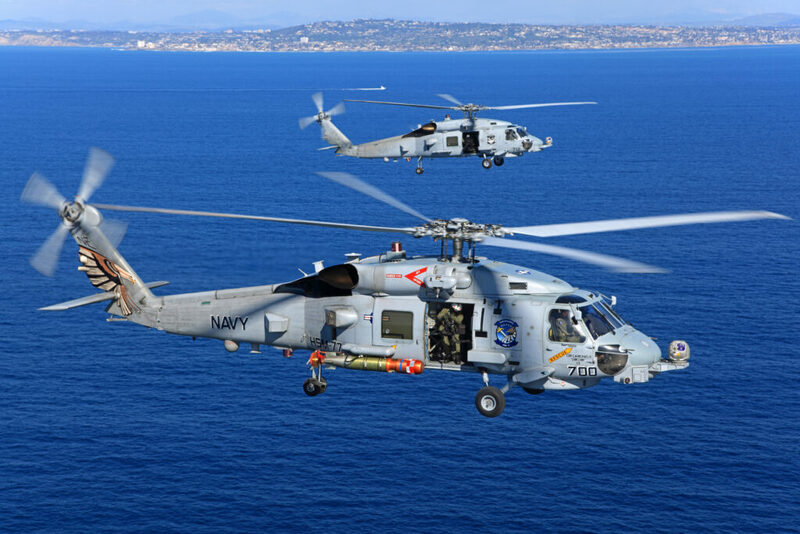 The State Department has made a determination approving a possible Foreign Military Sale to India of twenty-four (24) MH-60R Multi-Mission helicopters for an estimated cost of $2.6 billion. The Defense Security Cooperation Agency delivered the required certification notifying Congress of this possible sale on April 2, 2019.
one (1) MH-60B/R Excess Defense Article (EDA) USN legacy aircraft. facilities study, design, and construction; spare and repair parts; support and test equipment; communication equipment; ferry support; publications and technical documentation; personnel training and training equipment; U.S. Government and contractor engineering, technical and logistics support services; and other related elements of logistical and program support. The total estimated cost is $2.6 billion.